Underwriters are vital to our public service mission of bringing quality news and informational programming to an ever-expanding community of listeners. Your support is important to your business and it’s important to us. Corporate underwriting on HPPR has the impact of traditional radio marketing with the benefit of supporting a well-respected non-profit media institution. It’s an effective way to build business, brand your company, announce events, promote a chosen philanthropy, and much more — all while helping to pay for news, information and entertainment on HPPR. · Name recognition among professionals and business leaders likely to be interested in your products and services. 78% say they’ve taken a direct ACTION because of an underwriting message they’ve heard. · Appreciation from your colleagues, customers and peers, who will recognize your commitment to the community. 37,000 listeners tune in weekly, listening an average of 5.3 hours per week. 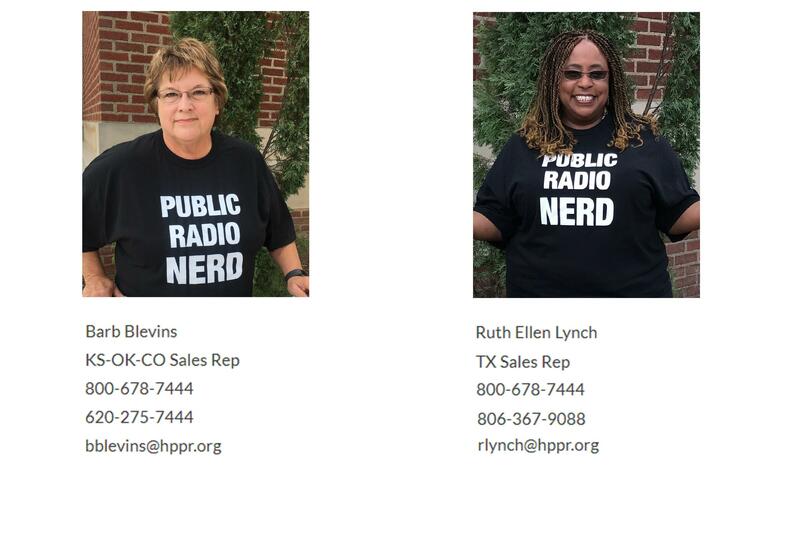 Community Sponsorships are available for those who wish to have their messages concentrated in a local area rather than the entire HPPR network. A corporate support sales person can explain the benefit and rate structure for this option. Community Sponsorships are available on the transmitters in bold print on the HPPR coverage map. The HPPR corporate underwriting team can help you design a schedule of underwriting announcements that meets your financial, marketing and philanthropic goals. Your company’s underwriting plan can range from exclusive sponsorship of a particular program to a schedule that spans all segments of the day.